Why and do we must pray? “In Him (Jesus) and through faith in Him we may approach God with freedom and confidence” (Ephesians 3:12). Prayer is talking to God as a loving Father who cares for us. In prayer we tell Him all our needs, hurts and frustrations. And we can ask others pray for us. Jesus Himself told us, “Again, truly I tell you that if two of you on earth agree about anything they ask for, it will be done for them by my Father in heaven. For where two or three gather in my name, there am I with them" (Matthew 18:19-20). In the Old Testament we can see how people prayed afflicted by many problems, trials, disappointments and trusted God to intervene for them which God also did. People prayed to God about another people and God listened to them. Job prayed for his friends, “So Eliphaz the Temanite, Bildad the Shuhite and Zophar the Naamathite did what the LORD told them; and the LORD accepted Job's prayer. After Job had prayed for his friends, the LORD restored his fortunes and gave him twice as much as he had before” (Job 42:9-10). We are commanded to pray all the time in spirit and truth. Paul asked his brothers to pray for him may he can bring good news (the Gospel) to the world with boldness (Ephesians 6:19; Colossians 4:4). James are saying that the prayer of a righteous person is powerful and effective (James 5:16). Very important is to forgive everyone; and if we have hurt somebody we must go and ask that person to forgive us. If you are in need of prayer, if there is nobody who can understand you and pray with you, just send us prayer request and I pray for you in agreement with the Word of God. Because we who are children of God “have the confidence in approaching Him: that if we ask anything according to His will, He hears us. And if we know that He hears us--whatever we ask--we know that we have what we asked of Him” (1 John 5:14). 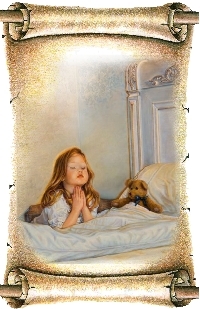 When we pray we thank our heavenly father for His enormous love to us. We ask Him to intervene through His beloved Son who now are sitting next to the Fathers right hand and are intervening for us. You can send prayer requests for yourselfe, for a sick friend or friends in need; for lost and unsaved and for the world to have more peace and less suffering. When you send your prayer request please tell me would you like or would you like not to receive the answer.